Hillary Rodham Clinton meets with Joyce McCartan and other women at the Lamplighter Traditional Fish and Chips restaurant. McCartan is the founder of the Women's Information Drop-In Center. 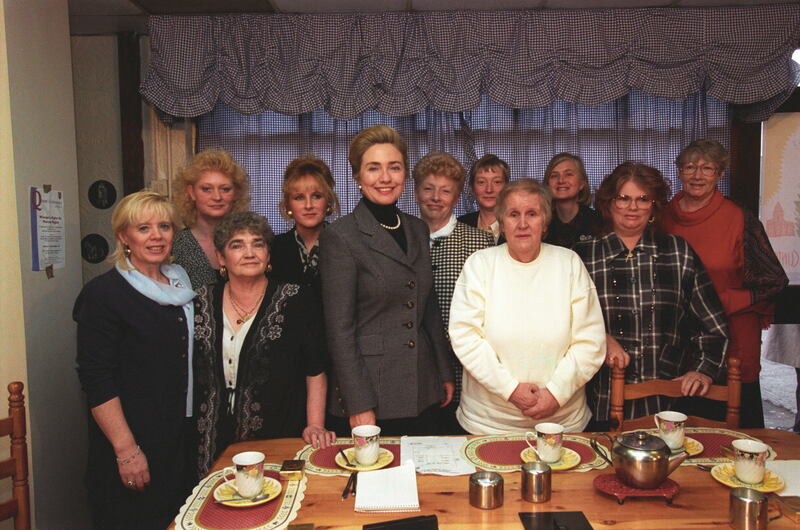 Barbara Kinney and White House Photograph Office, “Women's Information Drop-In Center,” Clinton Digital Library, accessed April 25, 2019, https://clinton.presidentiallibraries.us/items/show/57411.